This giveaway is sponsored by The Chance You Won’t Return by Annie Cardi. When your mom thinks she’s Amelia Earhart, navigating high school, first love, and family secrets is like flying solo without a map. Driver’s ed and a first crush should be what Alex Winchester is stressed out about in high school – and she is. But what’s really on her mind is her mother. Why is she dressing in Dad’s baggy khaki pants with a silk scarf around her neck? What is she planning when she pores over maps in the middle of the night? When did she stop being Mom and start being Amelia Earhart? Alex tries to keep her budding love life apart from the growing disaster at home as her mother sinks further into her delusions. But there are those nights, when everyone else is asleep, when it’s easier to confide in Amelia than it ever was to Mom. Now, as Amelia’s flight plans become more intense, Alex is increasingly worried that Amelia is planning her final flight – the flight from which she never returns. What could possibly be driving Mom’s delusions, and how far will they take her? For this giveaway, we asked you to tell us which historical figure you could imagine yourself being. Your answers ranged from painters to politicians, from Joan of Arc to Jesus. Just like Alex’s mom, there were several people could see themselves as Amelia Earhart. The top three responses were, much like Amelia, women who refused to live in anyone’s shadow: Eleanor Roosevelt, Susan B. Anthony, and Queen Elizabeth I. 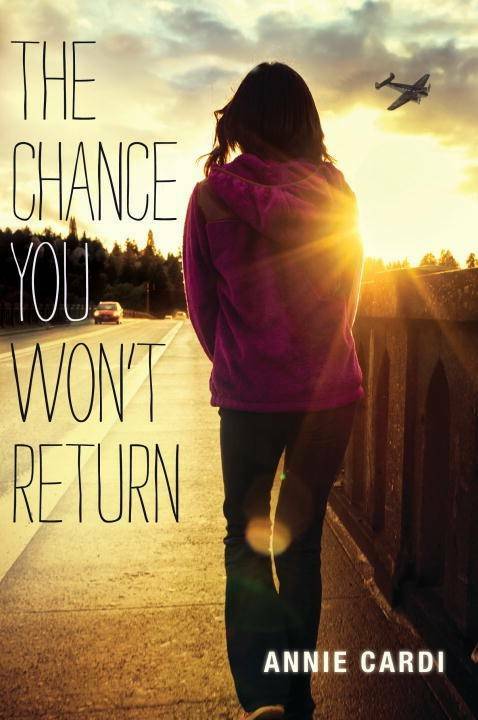 Ten randomly chosen winners were chosen and will receive a copy of The Chance You Won’t Return by Annie Cardi. Winners will be notified via email.